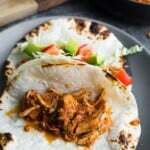 This crockpot salsa chicken is a 4 ingredient recipe that can be assembled ahead as a crockpot freezer meal. Use the salsa chicken in tacos, burrito bowls, or enjoy as is! 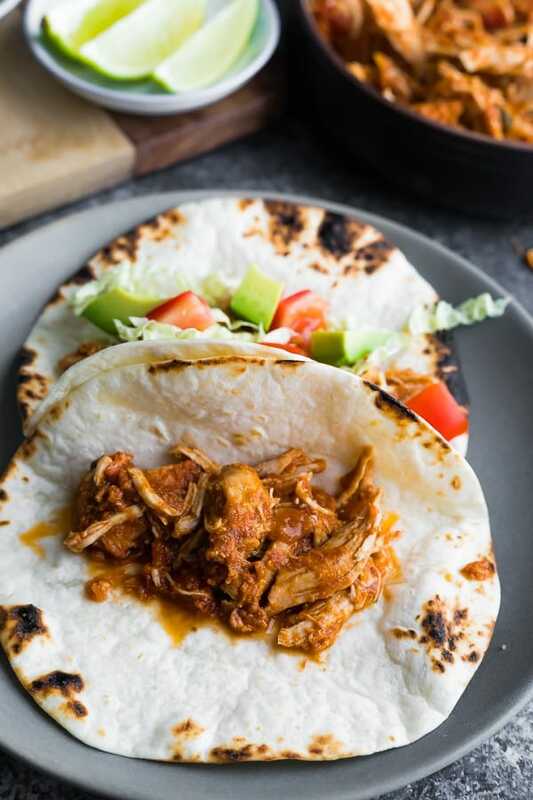 Say hello to my solution to hectic weeknights…this slow cooker salsa chicken is incredibly easy to prepare and is super versatile! 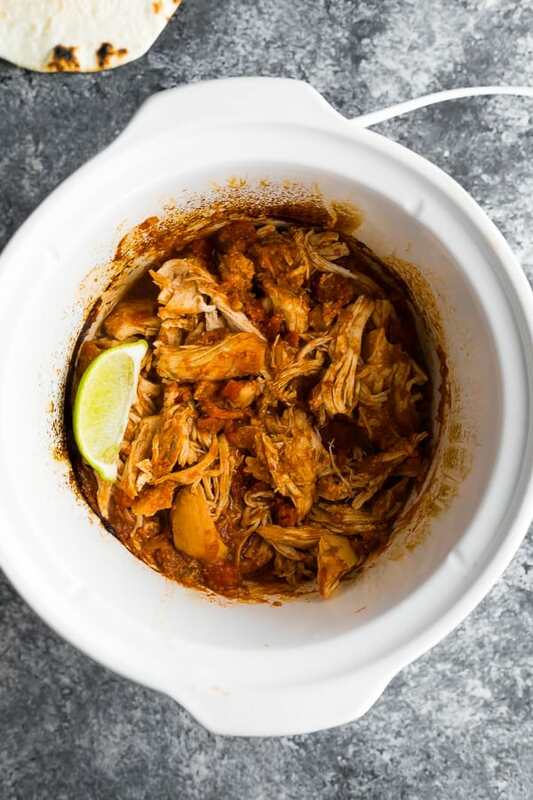 This crock pot salsa chicken recipe was one of 7 Slow Cooker Chicken Recipes I shared last month, and today it’s getting its very own post! Combine boneless skinless chicken breasts, salsa, cumin and chili powder in a slow cooker. Shred with two forks and enjoy! 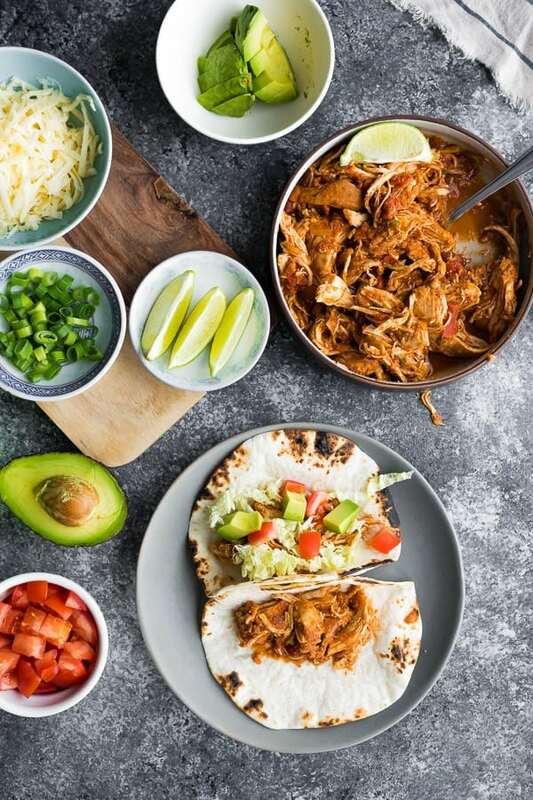 How can I serve this crockpot chicken and salsa? In tacos with cheese, tomatoes and avocados. Served in a burrito bowl with rice (or cauliflower rice), corn and black beans. In quesadillas with shredded cheese and fresh tomatoes. Or, just enjoy it as is!
! ), and freeze for up to 3 months. Thaw overnight before cooking as directed. Can I swap for chicken thighs? Absolutely. You can cook for 4-5 hours on low for boneless skinless chicken thighs (I do not recommend skin-on chicken thighs for the slow cooker as they will release a lot of fat during the cook time). 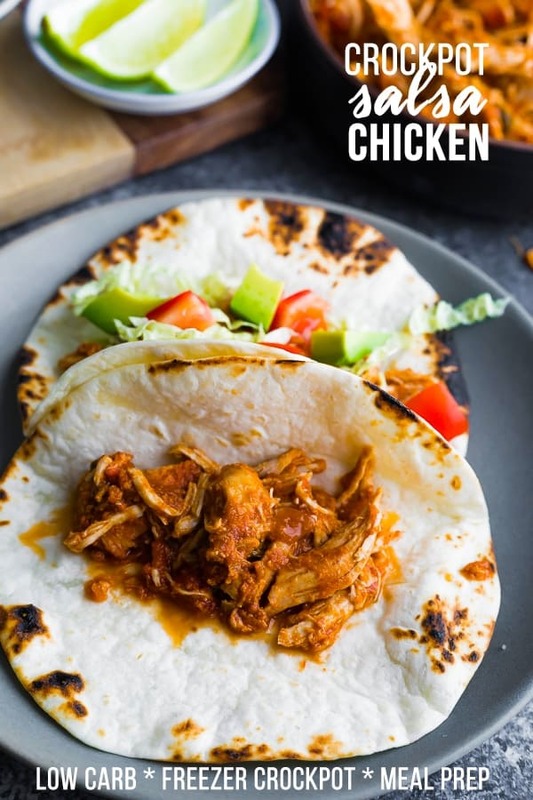 Can I cook this salsa chicken in the Instant Pot? Mayyybe. I have not tried this recipe and the salsa may be too thick to produce enough steam. If you try it and get a ‘burn’ message, dilute it with 1/4 cup of water and try again. And if you do give it a try, let me know in the comments how it turns out for you! Combine all ingredients in the base of a 5 quart slow cooker. Shred the chicken with two forks and toss in the cooking liquid. Taste and adjust salt. A squeeze of lime helps brighten the flavors up, too. Combine all ingredients in a gallon-sized freezer bag. This is delicious and so easy. Thanks for sharing!! 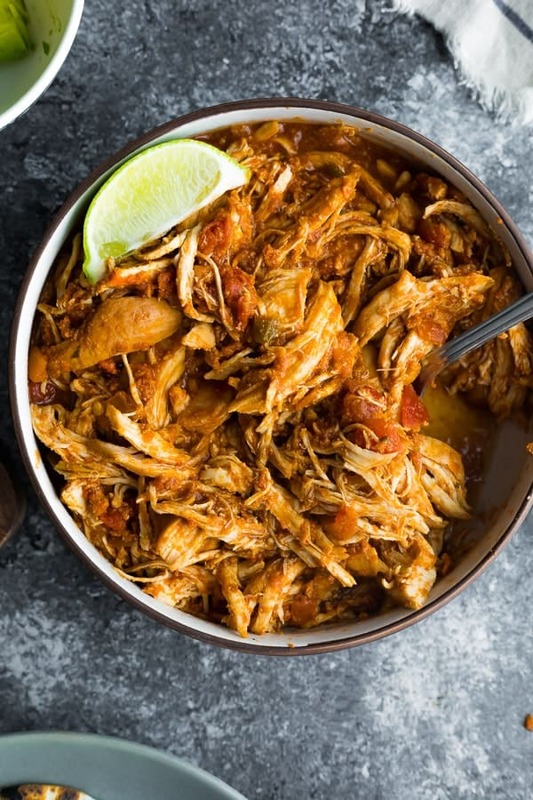 Can you freeze the shredded chicken once it is made or are the freezing directions just for putting the chicken breasts and other 3 ingredients so it’s ready to throw in the crock pot? I’ve made this several times and my SUPER picky boyfriend really likes it. My Instant Pot seems to cook hot so it never takes this long but then again, I don’t cook it long enough to shred….he just eats it along side rice and green beans. Highly recommend….it’s easy and normally, ya got chicken and salsa on hand! Doh! Toss the shredded meat within the cooking liquid… I think. Hah ? “Toss in the cooking liquid.”? I’m lost… What cooking liquid? I don’t see cooking liquid as an ingredient. To do it in the pressure cooker I’d go with putting a cup or two of water in the bottom the sit the chicken and other ingredients in a bowl onto of a trivet. No burn issue then. I’m about to head off camping so will be doing it this way. Thanks for the idea. Sure you could do that, but then you might be watering down the salsa which is where all the flavor comes from. I’ll be testing this in the IP soon! Will definitely be trying this! Love how I have all of the ingredients always on hand at home!